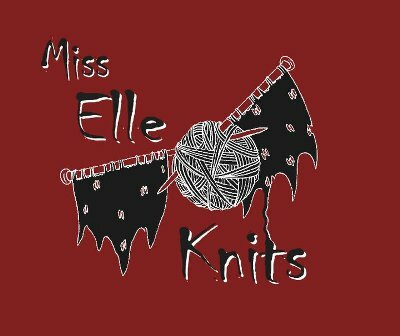 Miss Elle Knits: Episode 6 - Is it over yet?! Episode 6 - Is it over yet?! In which there is disaster! New yarn from Black Cat Fibres - what pattern should I use? Hibernating Mythos Cardigan in Laughing Yaffle sock yarn, colourway "Larkspur"
Continue to spin The Thylacine "Walkabout"
Please leave a comment on any yarns/patterns/shops/books you think I should review or know about! Thanks for listening! Hi there from Seattle, Washington USA!! I am trying very patiently to wait until all 6 episodes are downloaded before I start listening. One note, please put the RSS feed link in the side bar, because people will definitely want to find it! Episode 7 - It's Christmas! Episode 4 - I smell snow!